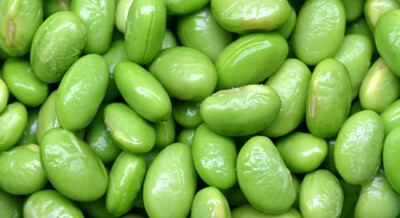 HomeBlogThe Soy Controversy – Tasty Source of Protein or Toxic Food? There is a difference between genetically modified Soy and highly processed Soy versus organic products. When research or articles espouse the dangers – take note of which forms of soy they are talking about. Obviously genetically modified foods and highly processed foods should be avoided and so should cold beans! There is difference between fermented Soy and non fermented soy. The fermented variety is easiest to digest and this is not just a Soy issue, all beans need to be prepared well to ensure good digestion. Ayurveda and Tibetan Medicine both recommend the cooking, fermenting, soaking and spicing of beans to make them more digestible. This disqualifies soy milk (unless you cooked it well and spiced it) but supports the consumption of Tempeh and Miso! I have found Tempeh to be a delightful and versatile source of protein, it is filling but not too heavy, it is easy to prepare, tasty and lends itself to all kinds of spices and presentations. Here are some articles on soy that I found helpful – they discussed the research that is the source of the Soy controversy, the different kinds of soy and the issue of the low quality genetically modified soy or processed soys versus fresh, organic fermented soy products. “Soy: The Good, the Bad and the Best.” N.p., n.d. Web. 19 Oct. 2014. “Soy Controversy and The Effects of Soy Consumption.” Mercola.com. N.p., n.d. Web. 19 Oct. 2014. “What Is the Soy Controversy All About?” Vegan Nutritionista. N.p., n.d. Web. 19 Oct. 2014.